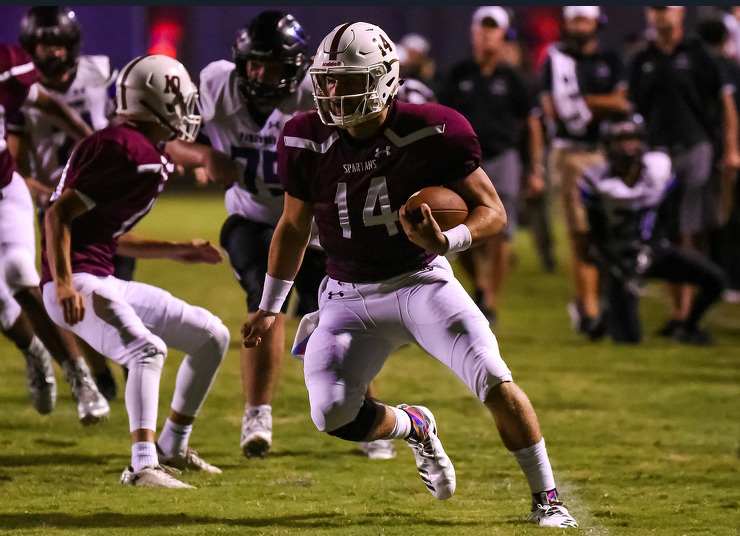 The Week 13 Player of the Week is Sun Valley's Sam Howell. Howell helped lead the Spartans to a 24-17 win over Marvin Ridge. Howell was 17-of-25 for 222 yards. Howell ran the ball 15 times for 159 yards and 3 TDs to lead Sun Valley to the win. Howell now has 1158 rushing yards to along with 2828 passing yards as we enter the state playoffs. Congrats Sam! !